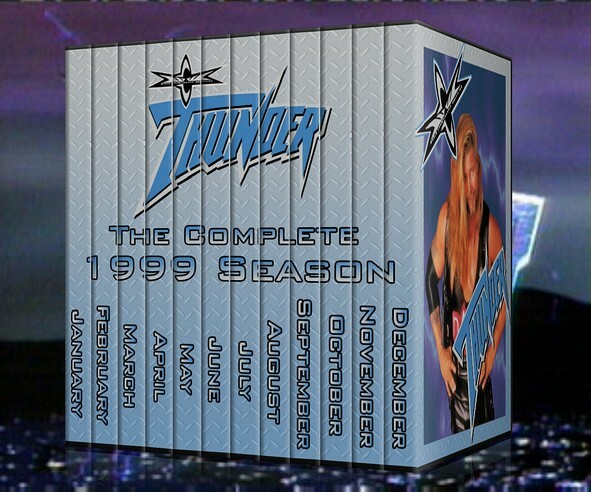 Someone Bought This: WCW Thunder 1999 season DVD set - WrestleCrap - The Very Worst of Pro Wrestling! This is a bootleg DVD set of every WCW Thunder episode from 1999. That’s about 48 2-hour episodes of some of the worst shows in the history of wrestling. Never mind water boarding- I think you could force any terrorist to watch all of these episodes in a row nonstop and get him to tell you anything! 9 Responses to "Someone Bought This: WCW Thunder 1999 season DVD set"
Ahh yes something to bookend between my DVD sets of the AWF and the XWF. A bounty full of goodness indeed. People who complain about Raw being the “Worst Show Ever” has never watched any of Thunder. Well get busy watching or get busying dying then. Now you have material for at least 48 more inductions. If someone who bought this lived in Hawaii it really would be Thunder in Paradise. Sad thing is, I’d buy this if the price was right. And I have at least two friends who would be jealous and happily watch it with me. 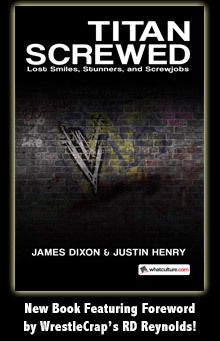 We’re dying for them to put Thunder on the Network so we can relive its Craptitude.